1. IT’S THE WASTE OF A DIMENSION. 6. THERE’S MONEY TO BE MADE IN SELLING NEW DIGITAL PROJECTORS. 7. THEATERS SLAP ON A SURCHARGE OF $5 TO $7.50 FOR 3-D.
9. WHENEVER HOLLYWOOD HAS FELT THREATENED, IT HAS TURNED TO TECHNOLOGY: SOUND, COLOR, WIDESCREEN, CINERAMA, 3-D, STEREOPHONIC SOUND, AND NOW 3-D AGAIN. Ebert concludes his screed by saying that he’s “not opposed to 3-D as an option” but rather opposed to it “as a way of life for Hollywood” which he sees it increasingly becoming. Insiders, do you enjoy 3D films, either in the theater or at home? 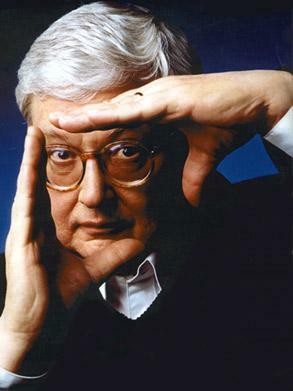 Do Ebert’s arguments ring true, or is he fighting a losing battle against the next big movie-going experience? Visit the comments and let us know where you stand. While I commend James Cameron for his huge success with Avatar I wish it would never have happened. The new 3-D bandwagon that every movie studio has now jumped on is ridiculous to me. The stuidos are going back and adding on 3-D elements to movies that shouldn’t have it added. They are “cheapening” movies just so they can earn extra money from the overpriced 3-D surcharge. There’s a large population that cannot see 3-D, me included, so if they try and make everything 3-D it would just look terrible to those people. I have 20/20 in one eye and 20/200 in the other. 3-D is wasted on me and gives me a raging headache. I can see it being used for certain movies…sych as Avatar, where you felt like you were in Pandora. Most, it is a cheap gimick that looks ridiculous especially when watching in 2D. Also, I do get headaches from the glasses, so I definitely would not want to have a 3D TV given the current technology. I would like to add Imax along side 3D. I have gone to a couple of movies that were going to be hugely special effect driven and was extremely disappointed that there didn’t seem to be that much of a difference between the normal format and the Imax or 3D format. Yet we had to pay a premium to see the movie in these formats. It’s just a marketing gimmick. If the movie maker really wanted to make a 3D movie, there wouldn’t be a 2D option. What self-respecting movie maker says to himself…I’m making this awesome movie in 3D, but we are going to release it in 2D also…just because…Riiiiiight. The truth is, movies are made in 2D and the 3D version is added so they can make more money off the stupid saps who don’t know better. And as for the glasses, shame on the movie theaters and the movie makers for not letting people keep and reuse the glasses. What an extreme waste…in the name of making more money by charging people for glasses again and again. Whie I was watching Alice in Wonderland (in fake 3D, according to Roger Ebert) at an authentic full-size IMAX venue (Minnesota Zoo), I was thinking (1) how dim and fuzzy the picture is, (2) how hard it was for me to resolve the so-called 3D picture, and (3) how I couldn’t wait until I would be able to see the real Alice in Wonderland movie at home, in 2D, on my 50″ Pioneer Kuro plasma TV. So now I hate 3D movies. As for the last comment, the truth is NOT that they are shot in 2D and 3D just added. Avatar was filmed in it’s entirety with a 3D camera. It was actually 2 cameras in one. That’s why a lot of the scenes seem so realistic. Every one is complaining about the surcharge for the glasses, but if you ask me, with movie prices as high as they are anyway, why would I pay $20 to $30 dollars (for a family of 4 and depending where you go) for a regular movie that I can BUY for less than that if I wait till it comes out. I have taken my children to almost every 3D movie that has come out in 2010 because, surcharge or not, it gives a little something extra and makes it more enjoyable. I do, however, agree that the theaters should waive the surcharge if you have your own glasses. They would still make good money on the movies because they won’t have to produce as many 3D glasses. Have you ever tried watching 3D with 3D glasses over regular glasses? You spend most of the movie hoping it will end so you can take off the glasses. The one nice thing about 3D movies is that while others blow an extra $5 to cram into a filled to capacity theater, I can choose a nice seat in the 2D theater next to it. I would like to see Hollywood turn out a serious “gimmick free” film shot in 3-D, perhaps one with some great scenery or meticulous cinematography (think Michael Mann or Terence Malick) so the depth effect would be an addition to the film, not a tacked-on gimmick. Look back to the 50s, the first incarnation of 3-D in movies. While most 3-D productions were “popcorn movies”, a few true classics were shot in the format as well, notably “House Of Wax” and Alfred Hitchcock’s “Dial M For Murder” (which I’d love to see released in 3-D on disk, as it had only a small theatrical release in its original format). Quite agree that the home video version of 3D is simply not up to the standards of current theatrical projection. There is one 3-D disk in my collection (“Coraline”) but that will be the only one until the technology improves. As an old 3D hand, I’m encouraged by this revival of 3D movies, which for the first time since the 1800’s can be done ubiquitously, with acceptable quality and at a reasonable price; *however* I would like to point out that there is a lot more to directing a 3D movie than current directors are aware of. Sudden shifts in the apparent depth of the main action are guaranteed to cause problems for a number of people, for example; likewise the tacky cheap trick of having objects closer than the screen plane. How to shoot well in 3D (to avoid headaches and nausea) has been understood by afficionadoes since Victorian days, but is only now being re-learned by a new generation brought up on the 2-D screen. It may take them a few years to master; and I hope against hope that this revival lasts long enough for that to happen. 1. IT’S THE WASTE OF A DIMENSION – Roger, simply NOT TRUE. It it was a total waste then why are you OK with 3D as an OPTION?? 2. IT ADDS NOTHING TO THE EXPERIENCE. – Again you say you are OK with 3D as an option so you MUST recognize that offers by definition an ‘optional’ experience namely the dimension of real perceived DEPTH. 3. IT CAN BE A DISTRACTION – So can bad acting, bad lighting, bad camera movement, bad direction. CAN be, maybe, sometimes yada yada. And other times for many IT HITS THE 3D MARK. 4. IT CAN CREATE NAUSEA AND HEADACHES – Hand held camera films are far worse and you have given thumbs up to some of the worst offenders. 5. HAVE YOU NOTICED THAT 3-D SEEMS A LITTLE DIM? That is what reviews are for. It a 3D film is not done right then pass on it. Others are done state of the art and have never looked better. 6. THERE’S MONEY TO BE MADE IN SELLING NEW DIGITAL PROJECTORS – In 1929 theaters realized there was money to be made using gear for SOUND in films and charging more. SO suddenly new technology is supposed to come free? 9. WHENEVER HOLLYWOOD HAS FELT THREATENED, IT HAS TURNED TO TECHNOLOGY: SOUND, COLOR, WIDESCREEN, CINERAMA, 3-D, STEREOPHONIC SOUND, AND NOW 3-D AGAIN. – Again, are saying 1929 and the advent of SOUND was Hollywood’s reaction to being ‘threatened’? And are you ranting against such tech advances as wide screens? Next you will have theaters ridding themselves of stadium seating so we can return to the fond days of staring at backs of heads. Steve, things are not totally true or totally wrong. Ebert is not totally wrong. Seems like you always have an ace up your sleeve when answering. When 3-D works, which is rare, it is wonderful. You have to be located right in the middle (side to side and front to back and NOT move your head.) Also your eyes have to be positioned at the correct angle as well as you have to see with both eyes 50-50. Loved Avatar which used 3-D as a compliment to the show and not for cheap shots. I find 3D horrible to watch (Avatar being a slight exception) and choose to go to the 2D version when given the option. I agree with Roger on most of his points. Hee, hee! Funny! How did I get that avatar in my previous comment? I hate 3-D. I have to agree the color is dull it gives you a head ache and why would I want to sit and watch a movie with those big gaudy glasses. It also costs to much money. I will stick with a good 2-D movie. The only way I would ever buy a 3-D TV is if you could watch it with out glasses and they had a 3-D switch on the set to turn the 3-D off. And of course the price would have to come way down. 3D as a concept is terrific, a whole new level from 2D – simply beyond compare. Unfortunately, today’s version of it is not quite so hot. And it definitely does not warrant paying more for it. To me movie ticket prices today are too high, anyway, I’d definitely not pay even more to see a stereoscopic version of a movie that might also lose on quality. Commenting on Steve… I think you have it out for Ebert. Everything you have said is purely self opinionated, as are my comments but don’t write them out as though they are law and or final.